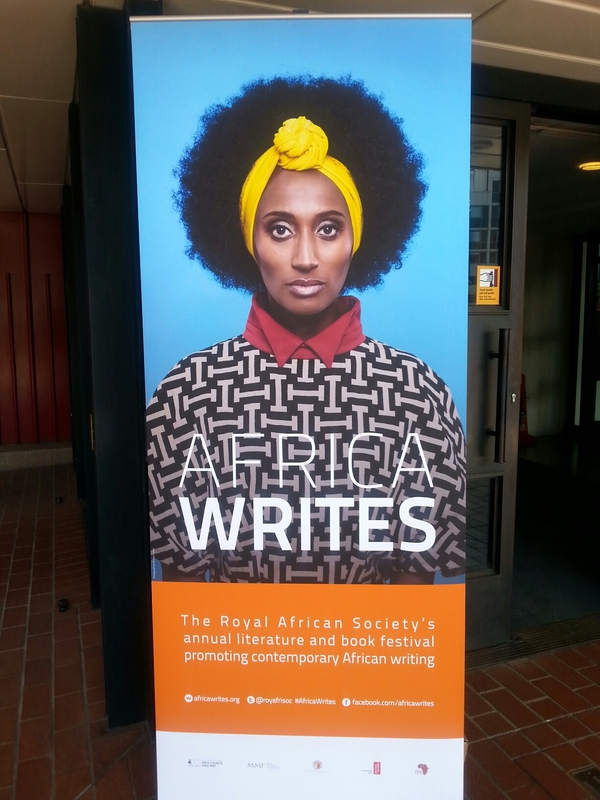 So I’m gagging with excitement to share my thoughts on last weekend’s event “Africa Writes 2015,” the African Writers’ festival hosted by the Royal African Society at the British Library. It was a bit of a whirlwind visit, but I’m so glad I attended. 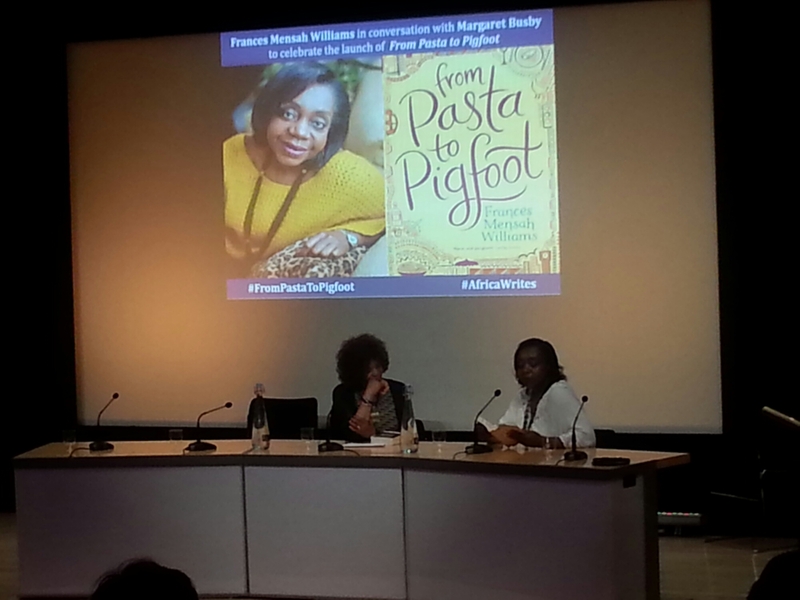 My bestie Miss Fu and I stepped into the auditorium just in time to catch the reading from Frances Mensah Williams, who was promoting her new novel “From Pasta to Pigfoot.” It’s the tale of a UK-born and bred Ghanaian woman who returns to Ghana, and the challenges she faces trying to settle into life in her home country. Guys… you know when you read a book that you could swear was written about you? For you? I got effing chills! Let me spill some tea on my life real quick. I am Ghanaian. 100%. Both my parents are Ghanaian. However I have lived in several different countries, I have two passports and I call at least 4 different cities “home.” I can swear in 6 languages. I have never lived in Ghana for any extended period of time. A few years ago, after living in the UK for what seemed like ever, I tried to move back to Ghana to work. It was a nightmare- I was unprepared for how different everything was, and how I couldn’t fit in with my own people. I was too Nigerian (I grew up there), too British, too feisty, too… just too much. I was heartbroken and frustrated, and left after only a few months. So when Ms Williams read from her novel, expanding on some of the struggles of a young woman trying to return home, I felt like I wanted to jump out of my skin with excitement. She described her novel as “a journey of self-discovery… not just a coming of age but also a coming of culture.” On being an African writer, she said “There is so little out there about us.” When she said “Going home is not the same as feeling at home,” I wanted to jump up and scream YAAAAAASSS. 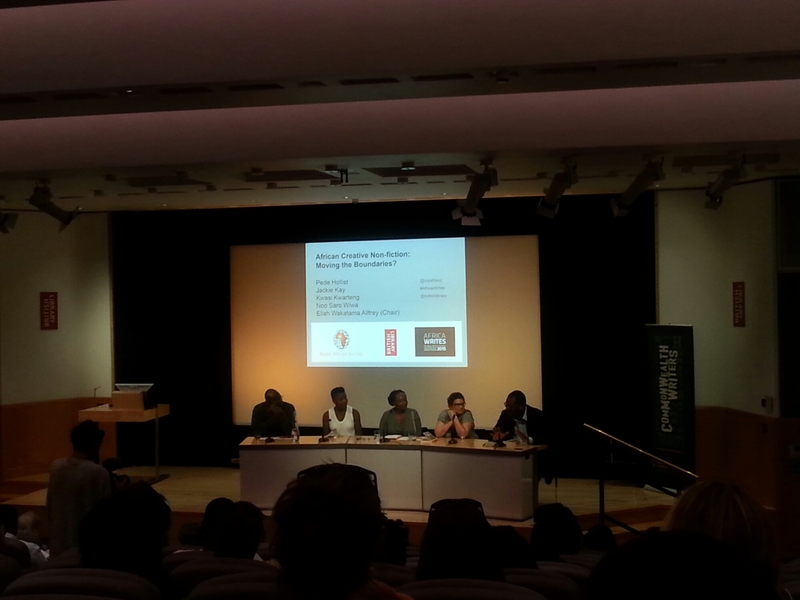 It was then time for a panel discussion called “African Non-Fiction: Moving the Boundaries?” The panel featured Kwasi Kwarteng, Noo Saro-Wiwa, Jackie Kay, and Pede Hollist. I really enjoyed MP Kwasi Kwarteng’s reading from his book “Ghosts of Empire,” which touched on the colonisation themes from one of my favorite novels, Chinua Achebe’s “Things Fall Apart.” Now… all the intellectual chit chat was amazing but I’m not going to lie to you, I was thinking how nice it would be to have Uncle Kwasi read me a bedtime story! That clipped Etonian baritone though… I’m here for it. Another highlight was the reading from Noo Saro-Wiwa’s book,”Looking for Transwonderland: Travels in Nigeria.” She was sassy and fabulous and I want to be her BFF. Noo, if you’re reading this, let’s totes do brunch? One of my favourite snippets was when she said, “I prefer to see where serendipity takes me… I had only a vague outline of where I would go.” She then gave us a few hilarious anecdotes on “prosperity gospel” in Nigeria, and the unintentional humour found in intense Pentecostal churches. All in all, it was an incredible event and I enjoyed every moment. There were so many amazing talks and workshops, but unfortunately Miss Fu and I had to depart (social butterflies, you understand). 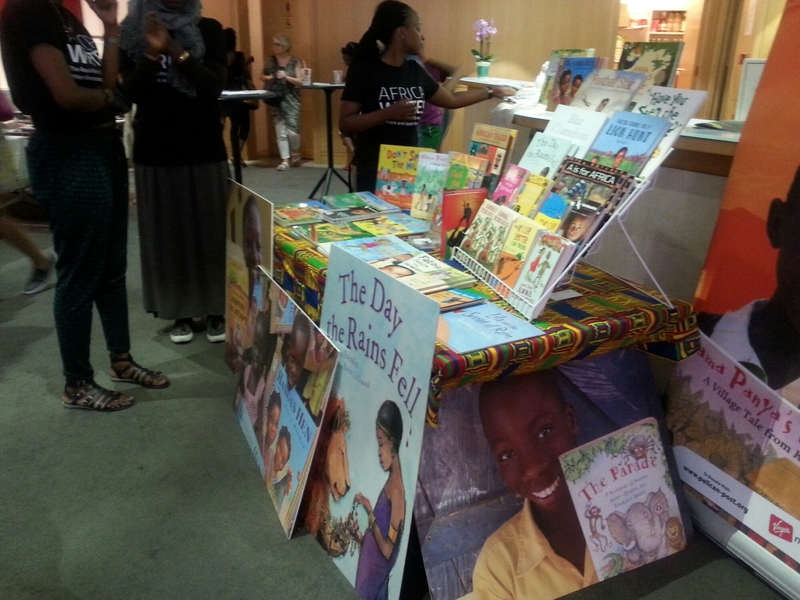 I’d like to say a huge thank you to the peeps at Africa Writes- it was a great event and I can’t wait until next year! I’m so proud of the work you guys are doing. Thanks for sharing this! I have a few novels I need to add to my “must read” list. The third paragraph totally hit home – change the names of a few countries and presto-chango you described me too! Haha. Made the hubby read it to enhance his continuing education about his lovely spouse. Hehe. Girl, please write your own novel. 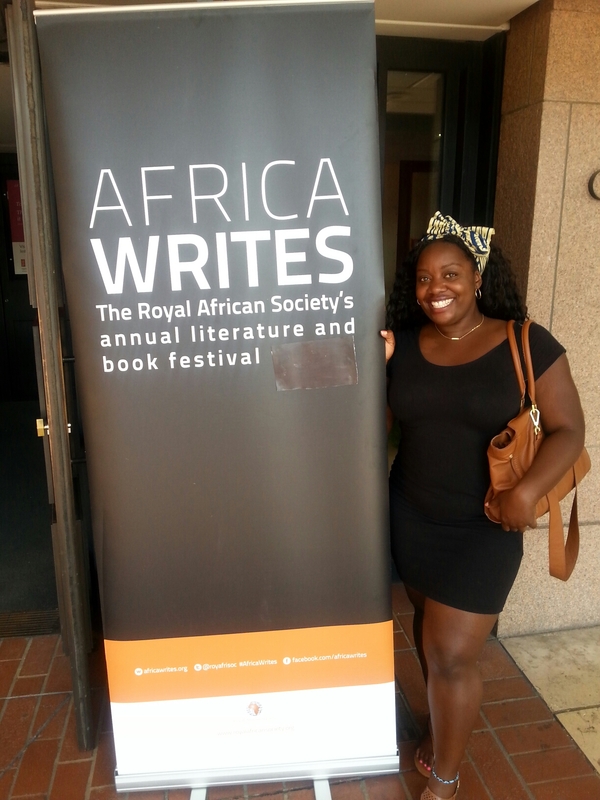 You are an amazing writer with such wit, imagery, and insight; the world will love all works by Adwoa Asiedu. Next Next post: On Beauty.